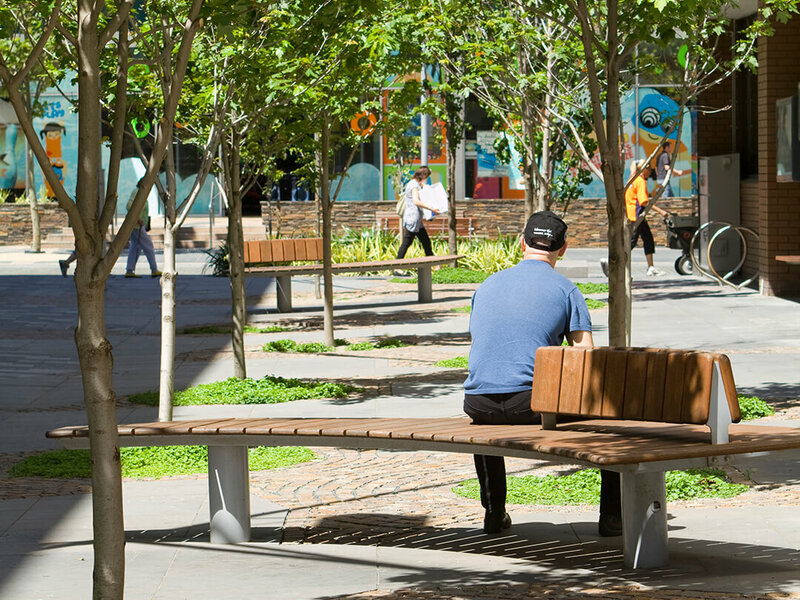 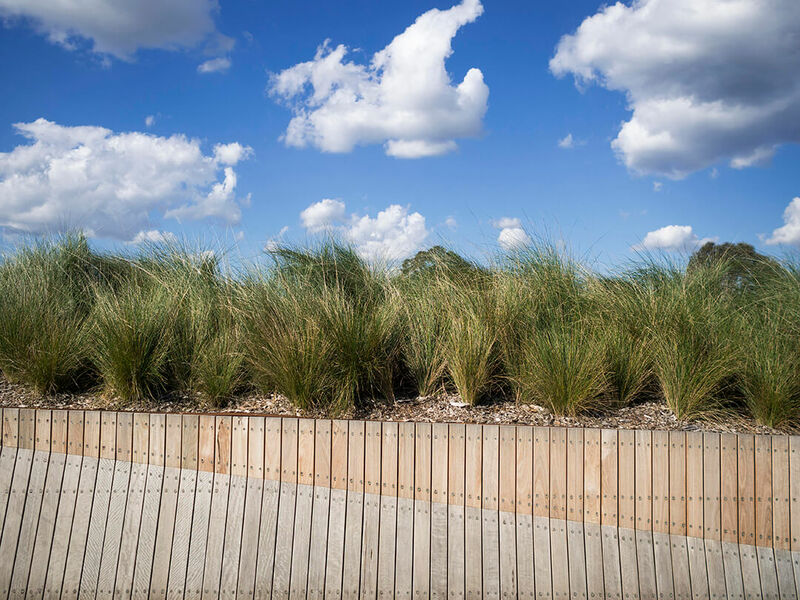 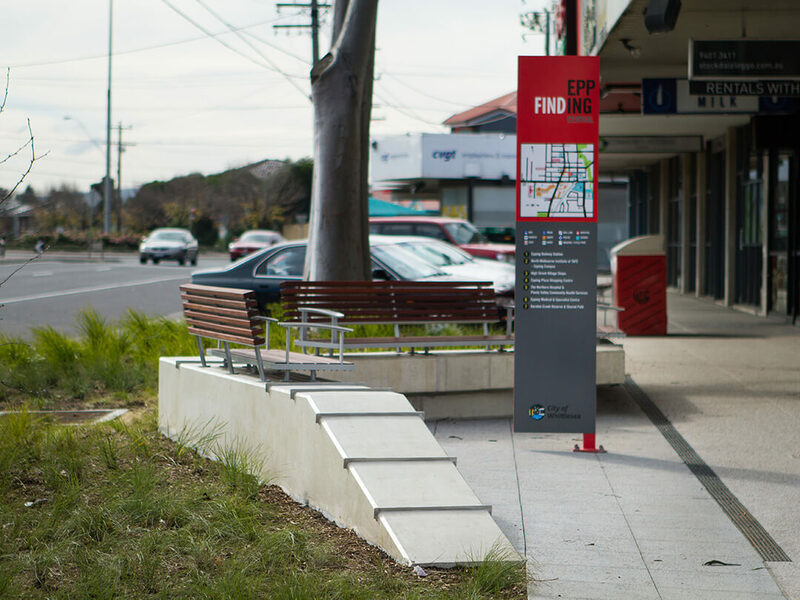 The completion of Stage 1 of the Hampshire Road Public Realm Upgrade establishes vital connections between the town centre, new railway station and bus interchange, Brimbank Community and Civic Centre and shopping centres within the heart of Sunshine. 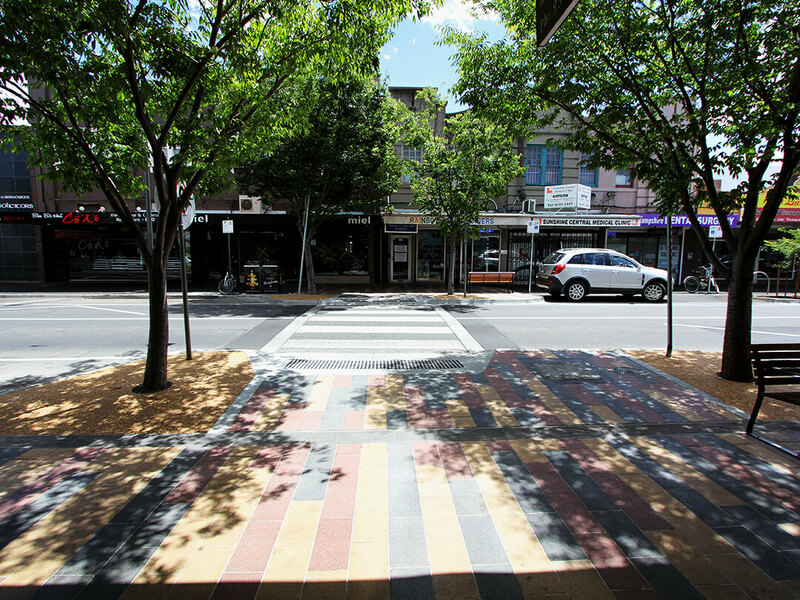 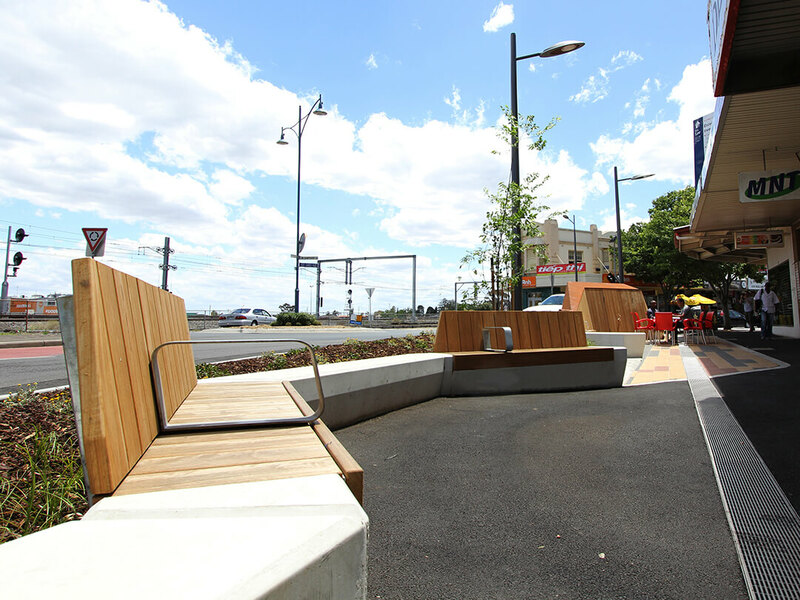 The streetscape upgrades create a strong identity and legible public realm; priorities pedestrians, cyclists and public transport; improves safety and amenity and provides a vibrant yet robust environment for visitors and local traders. 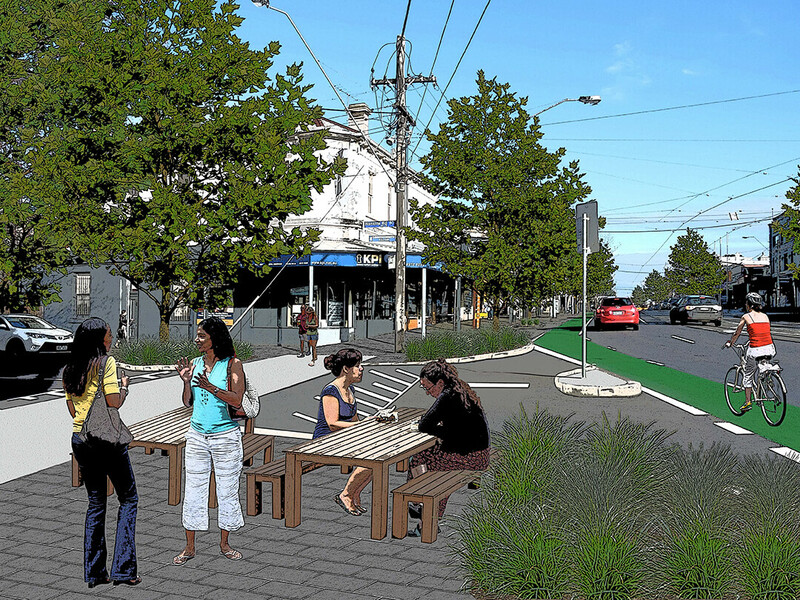 Key improvements include new pathway and street lighting, raised pedestrian crossings, improved car parking efficiencies and additional tree planting. 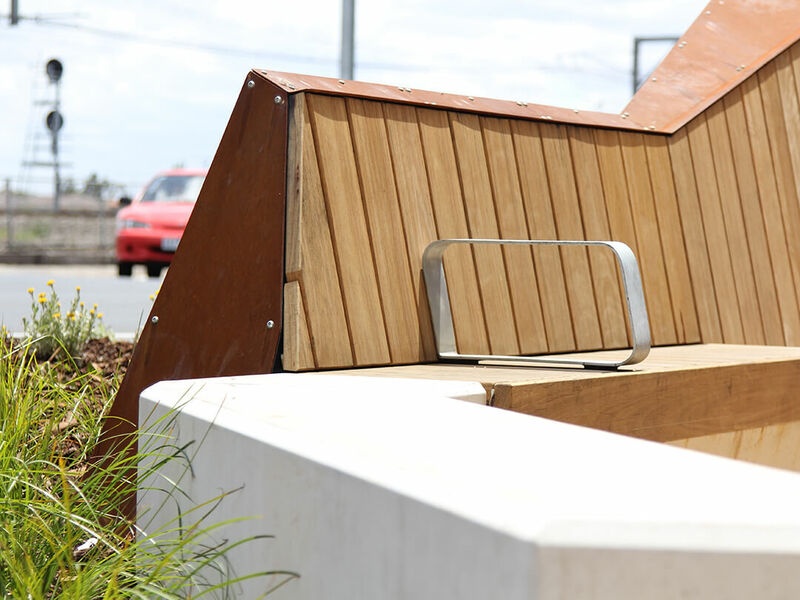 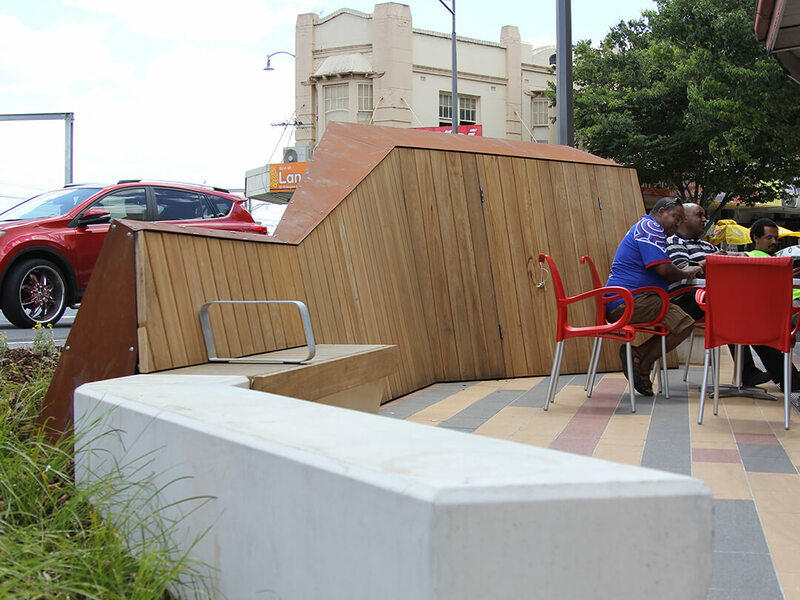 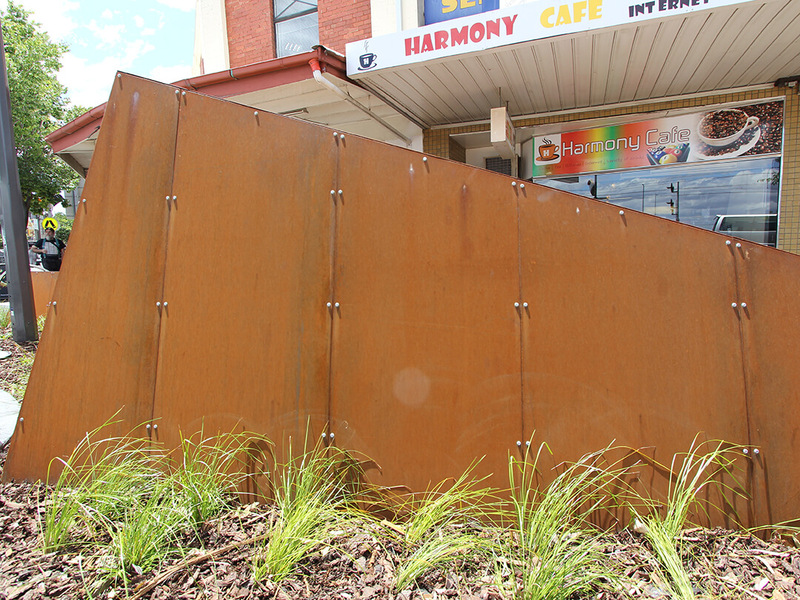 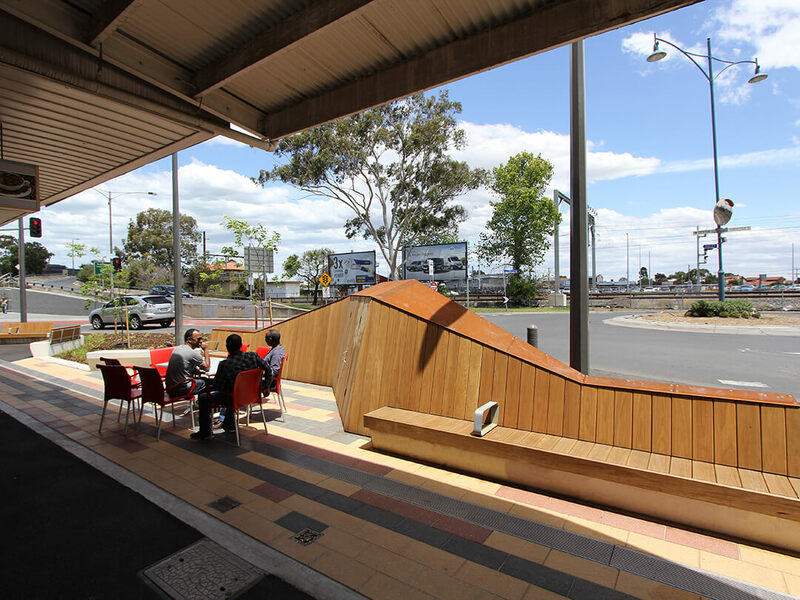 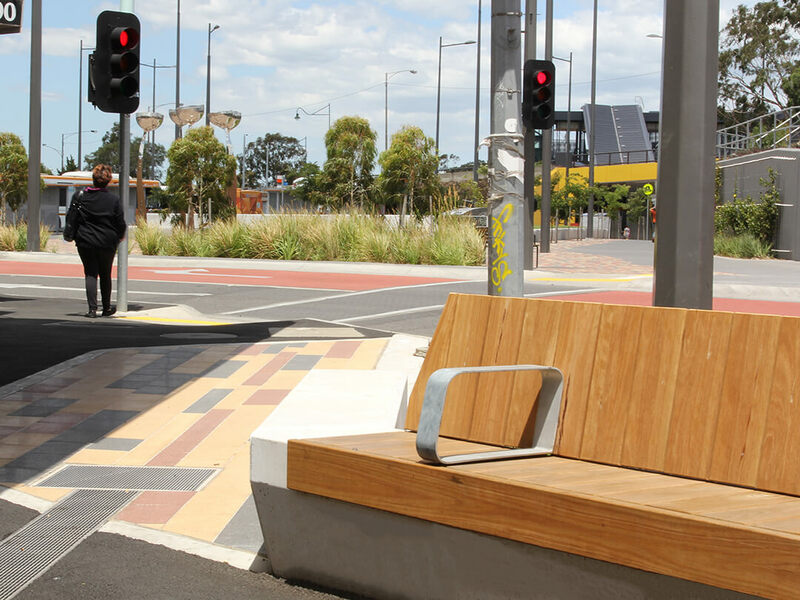 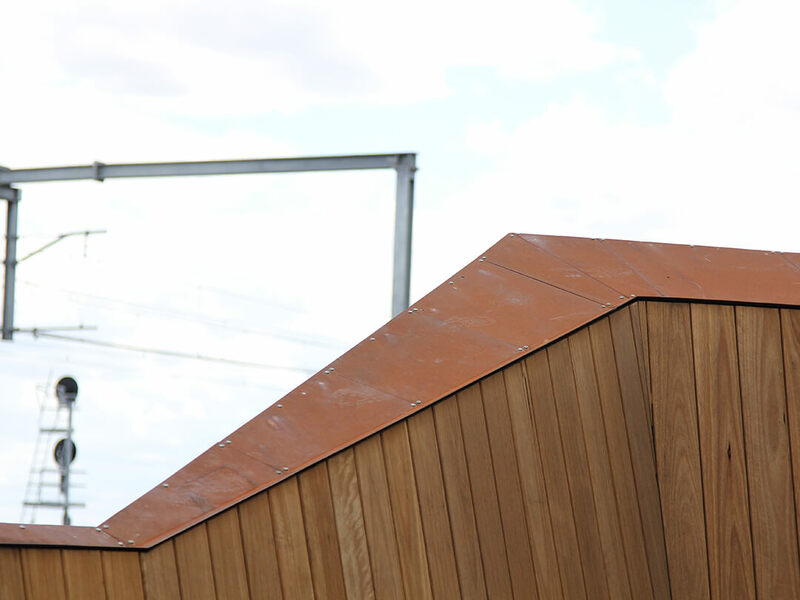 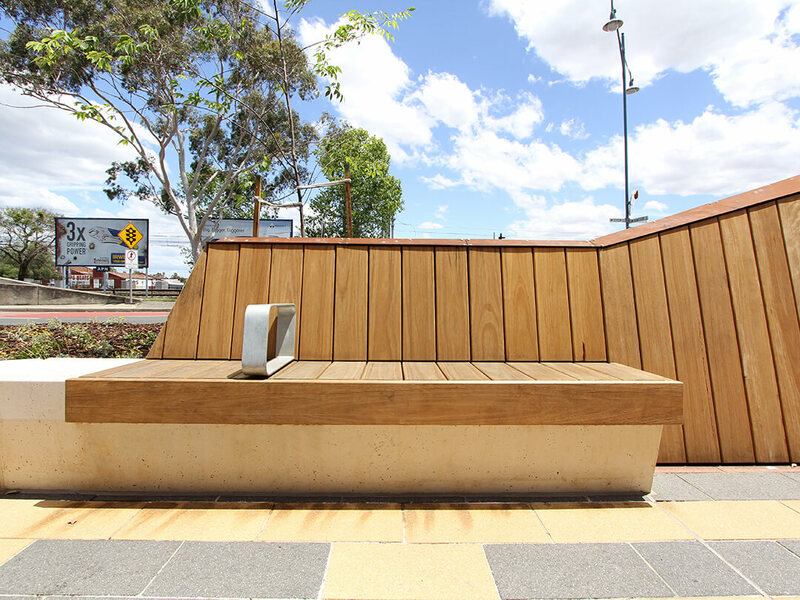 The sculptural seating wall at the Dickson Street corner establishes a strong visual and physical link between the redeveloped Sunshine Railway Station and Hampshire Road. 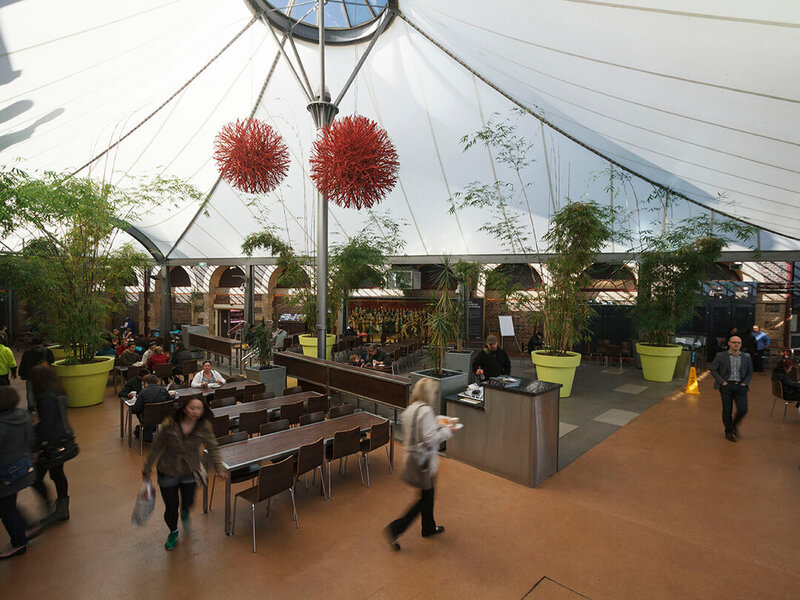 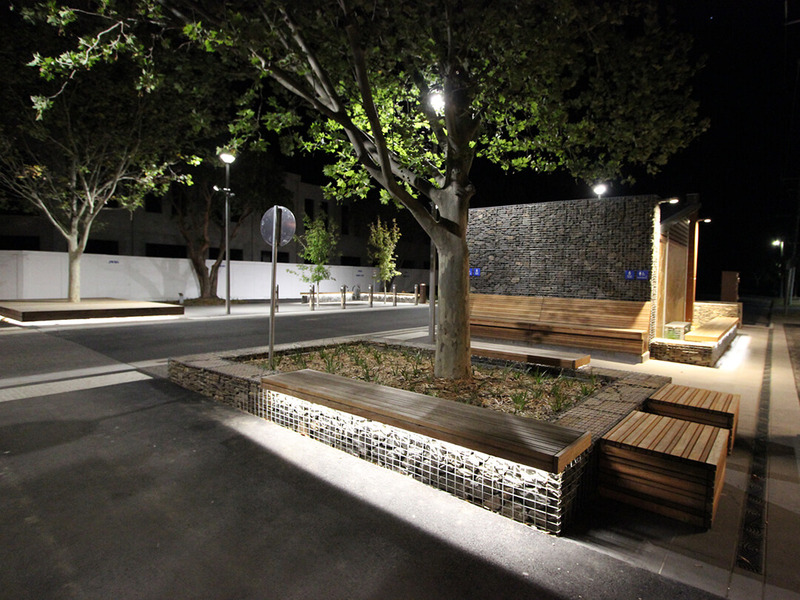 The Dickson Street social gathering space was created by reclaiming road and car parking spaces. 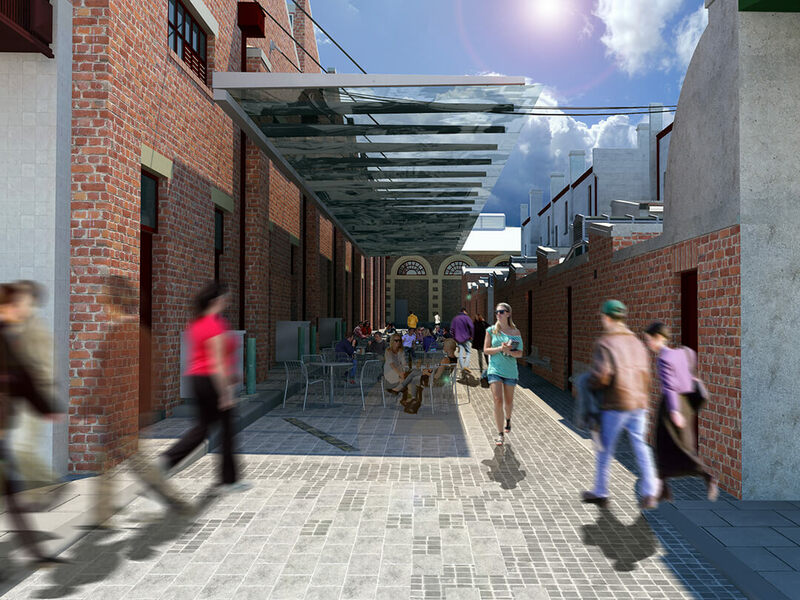 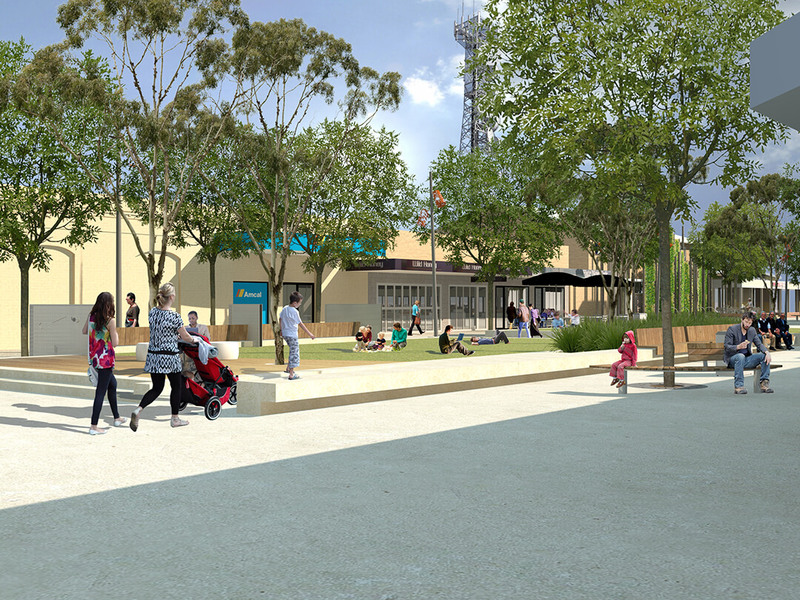 The implementation of Stage 1 is a significant step in the major revitalisation and vision for the Sunshine Town Centre. 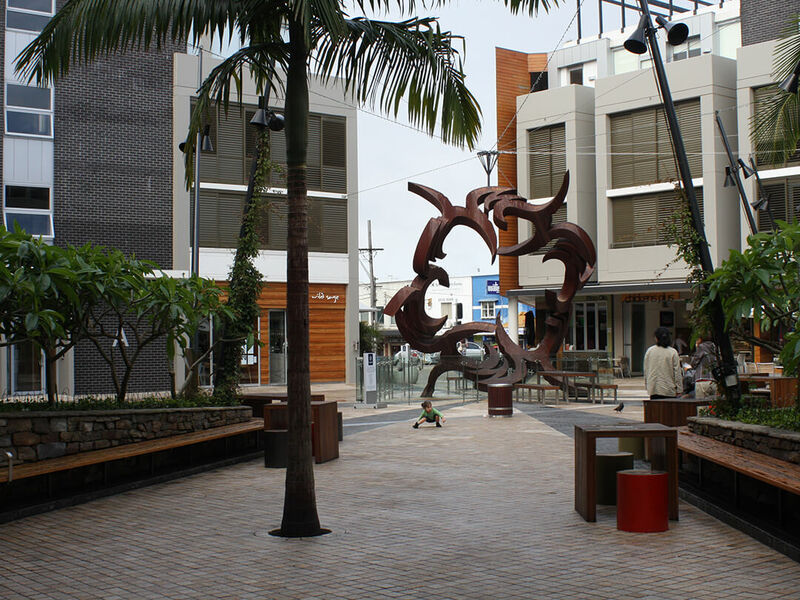 Thanks for checking out our work. 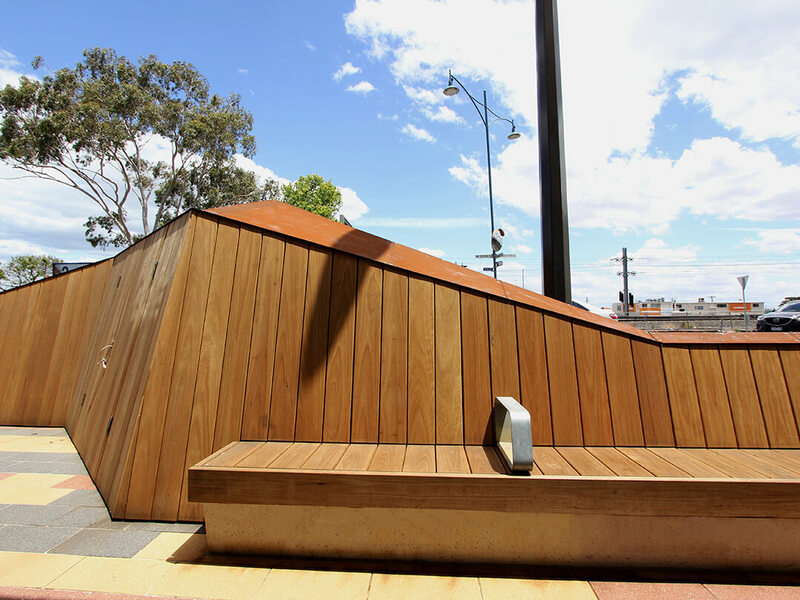 If you liked this project why not share it with your followers?